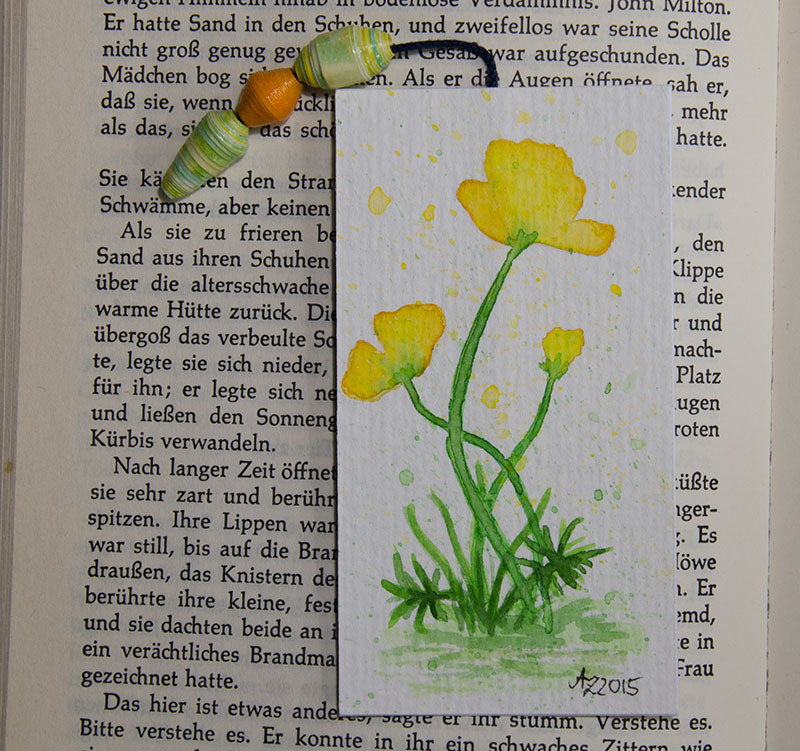 Hi, today I show you a bookmark with some buttercups. (Ranunculus acris) I did this painting with watercolors on watercolor paper. First I put the orange paint on the paper and then yellow paint. This technique creates the orange border. The paperbeads are homemade with matching colors. I hope you like it.